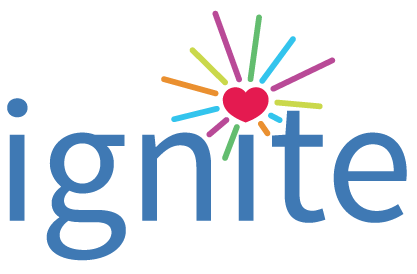 We just want to give a big shout out to our generous sponsors that have given to the Ignite Conference through an In-Kind Donations. We are honored to partner with Banzi Balloons + Event Services and CTRL Art Delete Podcast in creating an unforgettable day for ALL attendees. We are so excited that Banzi Balloons + Event Services will be creating an illuminating display for our event. If you have an event coming up, you have to let them create an unforgettable display for your special day. Check them out at Facebook and LinkedIn for all the ways that they add magic to various events. Have you heard all the craze with podcasting? We are thrilled to share that our friends Amy Moore and William Stein created an inspiring educational technology podcast called CTRL Art Delete to share with the learning community. They have had a long list of educational leaders as special guests on their podcasts. YOU need to do yourself a favor and subscribe to their podcast. They shared so many helpful and useful ways to add meaningful engagement for learners of all ages. Follow this podcast via Twitter Instagram. Click on podcast to download this amazing podcast to add to your own personal learning network. Friends, we just want to make this day oh so spectacular for ALL of the attendees. Our hope is that each attendee will walk away feeling empowered to find their voice and ignite their passion in creating an authentic path of life.